Access to the Daymet data set is available through various tools and formats allowing a rich resource of daily surface meteorology. Daymet data are available for 1980 through the latest full calendar year and includes the United States, Mexico, and Canada (south of 52 degrees North) as station density allows. 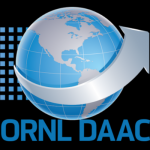 Daymet is supported by funding from NASA through the Earth Science Data and Information System (ESDIS) and the Terrestrial Ecosystem Program. The continued development of the Daymet algorithm and processing is also supported by the Office of Biological and Environmental Research within the U.S. Department of Energy’s Office of Science. The ground-based meteorological station data required for running Daymet data have been acquired through the National Climatic Data Center, the National Resource Conservation Service, and additional datasets obtained through the generosity of the Mexican and Canadian Governments.